A prehistoric fantasy—with allusions to Pride and Prejudice- gender swapped and with mammoths!!!. This book is written by the author of the Wrath and the Dawn- so is is going to be excellent! And that cover- oh my!!!! 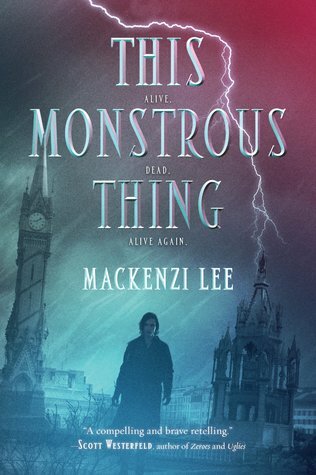 Marie Lu calls this book an "intoxicating gem of a story"! Think The Terminator meets Indiana Jones with a crash course in history thrown in. 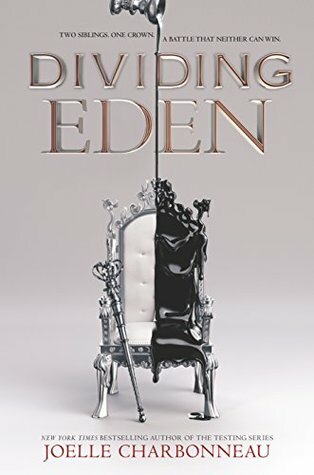 If you like sci-fi, robots, steampunk, clockwork automatons, Peter the Great and the Russian Empire, and Georgian era England, you will love this fast-paced, adventure filled new novel from the author of Robopocalypse. 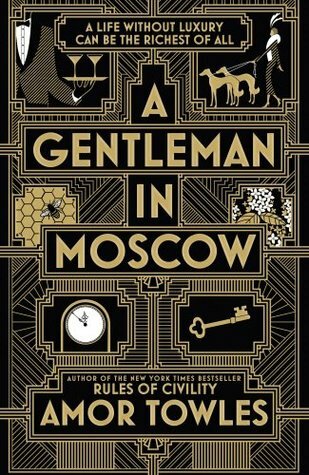 Russia, 1725: In the depths of the Kremlin, the tsar's loyal mechanician brings to life two astonishingly humanlike mechanical beings. Peter and Elena are a brother and sister fallen out of time, possessed with uncanny power, and destined to serve great empires. 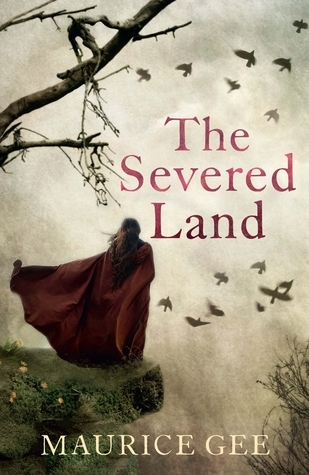 Struggling to blend into pre-Victorian society, they are pulled into a legendary war that has raged for centuries. 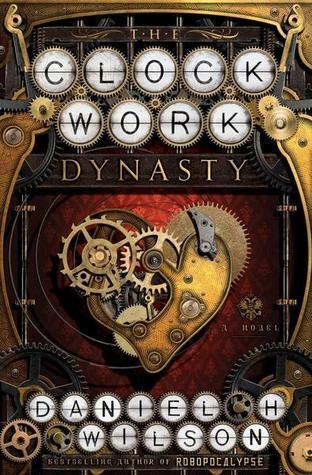 The Clockwork Dynasty seamlessly interweaves past and present, exploring a race of beings designed to live by ironclad principles, yet constantly searching for meaning. 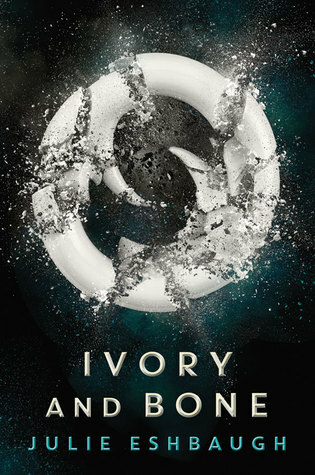 As June plunges deeper into their world, her choices will ultimately determine their survival or extermination. Marnie Logan often feels like she's being watched. 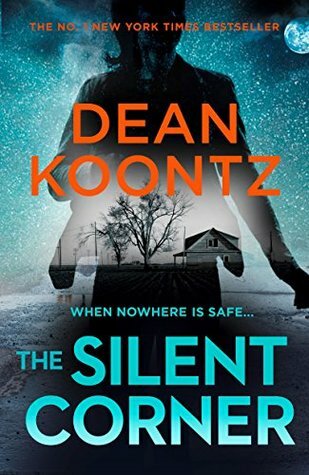 Nothing she can quite put her finger on -- a whisper of breath on the back of her neck, or a shadow in the corner of her eye -- and now her life is frozen. Her husband Daniel has been missing for more than a year. Depressed and increasingly desperate, she seeks the help of clinical psychologist Joe O'Loughlin. Joe is concerned by Marnie's reluctance to talk about the past, but then she discovers a book packed with pictures, interviews with friends, former teachers, old flames and workmates Daniel was preparing for Marnie's birthday. It was supposed to be a celebration of her life. 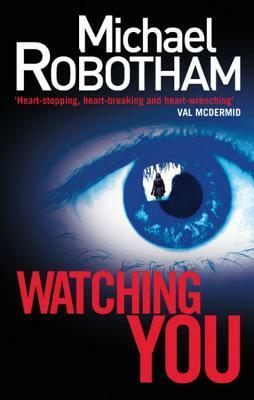 But it's not the story anyone was expecting ..
"Another masterful piece of storytelling by Mr Robotham!! This author is slowly becoming a favourite of mine! You begin each of his books innocently enough,gaining access to the myriad characters,their backgrounds and secrets and before long you find yourself meandering along a path where nothing is as it seems,polluted as it is by red herrings, invariable twists and turns!! This movie is going to be amazing:) I will go, I will take tissues and I will take a bunch of students with me so we can be all challenged together! By the author of Bone Gap- so it has to be good!!!! An author who has down all of the below will know how to write a rip roaring yarn of badness and catchness! 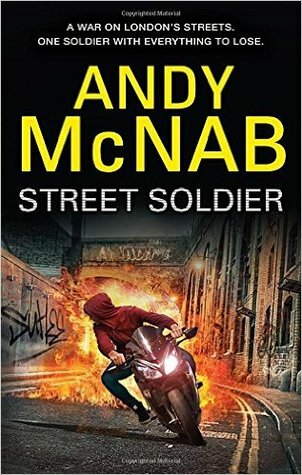 "I loved the raw honesty and heartbreaking authenticity Andy McNab works into Sean's story but it was his daily struggle to turn his life around, to right his wrongs, to be a better version of himself which really won me over. He charmed me. "We all just want to be people, and none of us know what that really means." 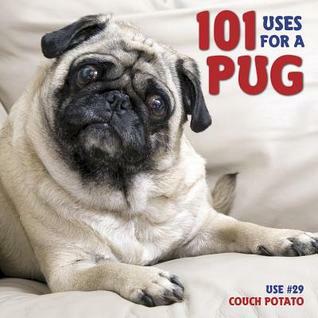 Some books I just get for Mannins- this is one of them- at least he makes our library collection broad and interesting!! Thanks Mannins! Alice is fifteen, with hair as red as fire and skin as pale as bone, but something inside her is broken. She has acquired brain injury, the result of an assault, and her words come out slow and slurred. But when she writes, heartwords fly from her pen. She writes poems to express the words she can't say and leaves them in unexpected places around the town. I sense a movie coming - surely this will be made into a movie!!! Through his eyes we will experience the many changes in Russia, from Stalin to Khrushchev, as the hotel is the home for many meetings and dinners of the top ranking members of the politburo. A friendship with a young eight year old girl will bring color to his life that will last for over thirty years. This brutal & quite original story deals with the repercussions of any sort of bullying. The story focuses on the events that lead to the horrific incident using transcripts, interviews, online conversations etc which adds to the drama & thriller aspect. Starting with the emergency call captures your attention from the very beginning. 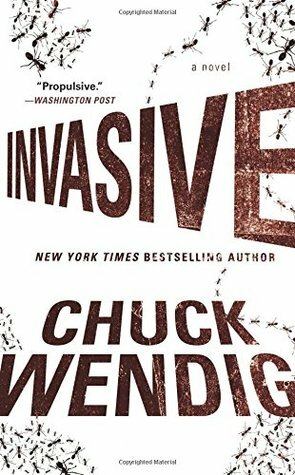 At the center of the story is a group of 6 teens with one of them being the quiet "weird" one, Elijah, who you don't know at the beginning if he is shooter or victim. Their POVs tell us the story until that devastating curve ball that just "whoosh" hits you in the chest and you are numb till you realize what that even bigger curve ball is! The book deals with the questions of when behavior becomes a type of bullying, violent, when should or if we should get involved? Where does privacy end and genuine concern begin/ Are their signs of the oncoming tragedy, or is it all 20/20 hindsight? As the web of the group's interaction untangles, you get the feel for each one's role & start having your own theories of what is to come and opinions of fault. I believe the POVs of everyone involved were done very well, with each having the appropriate voice. Genre: Fantasy Fiction Horror- King!!! First published in 1982- this is a republished version and the first in the Dark Tower series of seven titles. This is the beginning of Stephen King's famous magnum opus, the Dark Tower. This is where the master of horror writes his great work of fantasy based on a combination of The Lord of the Rings and The Good, the Bad and the Ugly. 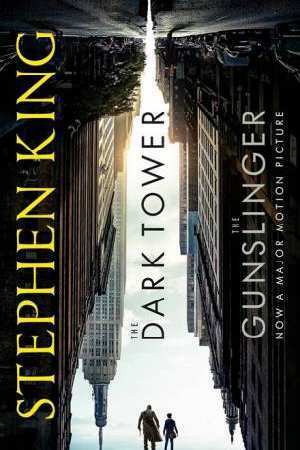 This is the iconic opening line of Stephen King's groundbreaking series, The Dark Tower, introduces one of his most enigmatic and powerful heroes: Roland of Gilead, the Last Gunslinger. Roland is a haunting figure, a loner, on a spellbinding journey towards the mysterious Dark Tower, in a desolate world which frighteningly echoes our own. 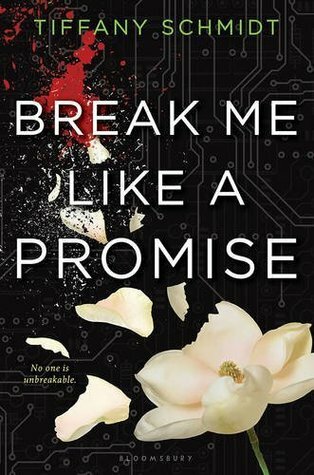 Laila, her best friend, has a secret of her own: she can restore Addie's memories . . . once she learns how. But there are powerful people who don't want this to happen. Desperate, Laila tries to manipulate Connor, a brooding bad boy from school--but he seems to be the only boy in the Compound immune to her charms. And the only one who can help her. I'd been warned - in French, no less. By a tram-riding, mermaid-swaying, wolf-eaten, peace-sign flipping friend. I knew she wouldn't be happy if I stayed out here by the pool, with Jed's nail tracing the length of my neck. But I didn't want to go inside. I didn't want another drink. I wanted to stay out here and see what would happen. 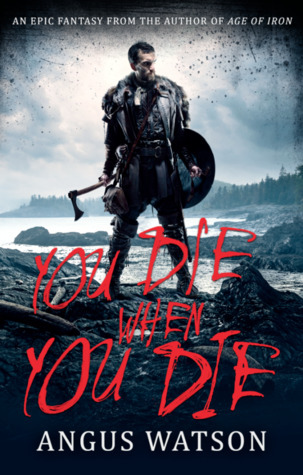 You Die When You Die - a mismatched group of refugees battle animals and monsters, determined assassins, depraved tribes, an unforgiving land and each other as they cross a continent to fulfil a prophecy. Prophecies, chases, foul-mouthed tribal elders, political conspiracies and a warrior with questionable depth perception. I’ll be honest, I don’t think you can beat it. More please, as soon as is humanly possible! ...... remaking Wuthering Heights with cats. 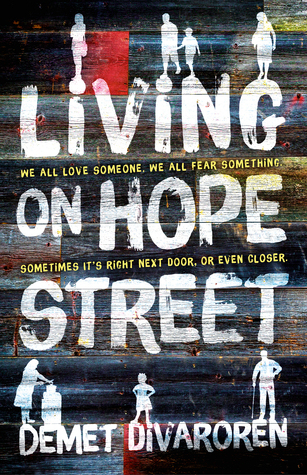 Hope Street- I wonder how many people in our nation live on a street where they even know their neighbors names. How can we ever know their stories... if we don't even know their names and how can we build meaningful community where we actually look out for each other- when we are so wrapped up in our own little precious worlds. It might be tough to go and engage with your neighbor, it might cost you something- but it is the right thing to do and if we want strong communities in our nation and if we truly want to fight bigotry and racism we have no choice. It is in relationships that we win that war and fight it we must!!! 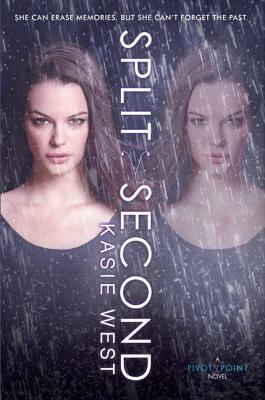 This emotional, compulsively-readable romance will sweep everyone off their feet. “You want to know what I believe? I believe in fate, but I also believe in free will. Meaning, there's a path, but we're free to veer away from it. The only problem is that there's no way to know whose path we're following on any given moment. Our own? Our fate's? Other people are on their on paths, too. What happens when we intersect? What happens when someone else wipes our path clean, and we're left with no road to follow? Is that fate? Is that when free will kicks in? Is the path there, but invisible? 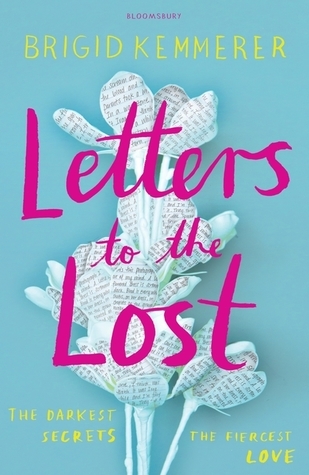 When Declan reads a haunting letter left beside a grave, he can't resist writing back. Soon, he’s opening up to a perfect stranger, and their connection is immediate. But neither of them knows that they're not actually strangers. 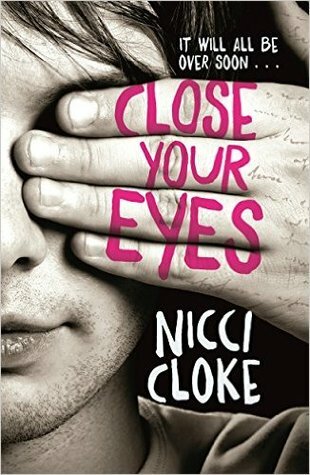 When real life at school interferes with their secret life of letters, Juliet and Declan discover truths that might tear them apart. Maggie called it genius. The Judge called it illegal! 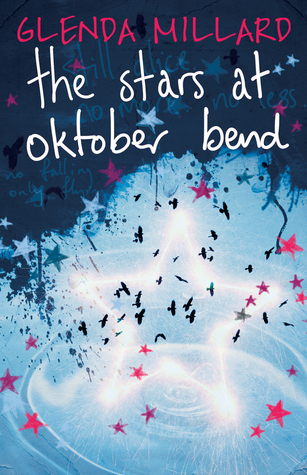 "A soaring tale of life and love, of sacrifice and renewal, and learning to see people as they really are. This follows an incredibly moving coming-of-age story about 12-year-old Cedar Lee, who has moved to Iron Creek, Utah, for the summer with her mother and younger brother, Miles. And it follows their journey trying to regroup after an accident that claimed the lives of Cedar’s father and younger brother, Ben. 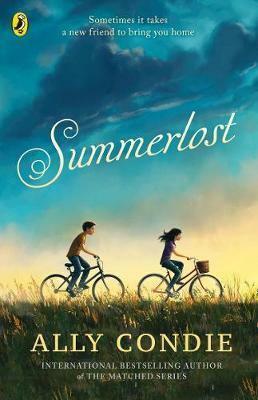 Outside her new house, Cedar quickly meets enthusiastic and enterprising Leo Bishop, who gets her a job at Summerlost, the town’s yearly Shakespeare festival. As they team up to give secretive walking tours about the life of legendary actress and hometown hero Lisette Chamberlain, they become enthralled by the circumstances surrounding the woman’s death. Together, Cedar and Leo explore the town of Iron Creek and find a twenty-year-old mystery they might have the key to solving. Along the way, they discover the power of friendship to mend a broken heart. Infused with emotion and rich with understanding, that highlights the strength of family and personal resilience in the face of tragedy. "If you could read my mind, you wouldn't be smiling." 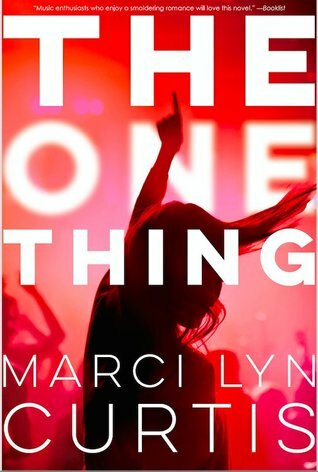 Genre: Contemporary Fiction- road trip! 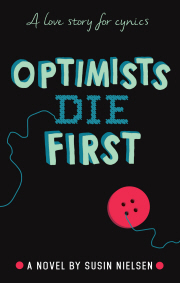 "Equal parts great American road-trip narrative and coming-of-age novel, this brilliant story from a debut novelist is a treat for the diehard nerds and fans among us." As they travel west, encountering superheroes, monsters, time travelers, and robots, Val and Alex are drawn into the orbit of the comic-con regulars. 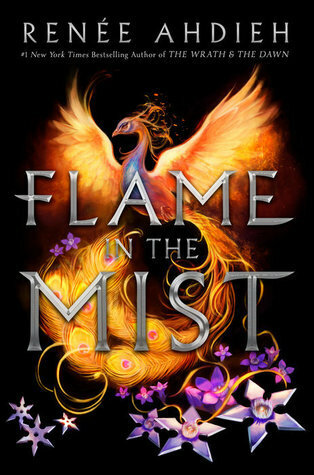 For Alex, this world is a magical place where fiction becomes reality, but as they get closer to their destination, he begins to realize that the story his mother is telling him about their journey might have a very different ending than he imagined. 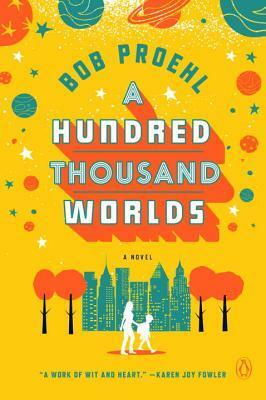 A knowing and affectionate portrait of the pleasures and perils of fandom, A Hundred Thousand Worlds is also a tribute to the fierce and complicated love between a mother and son--and to the way the stories we create come to shape us. Street art- tells stories, street art makes you think. Street art convicts, street art sells a message. 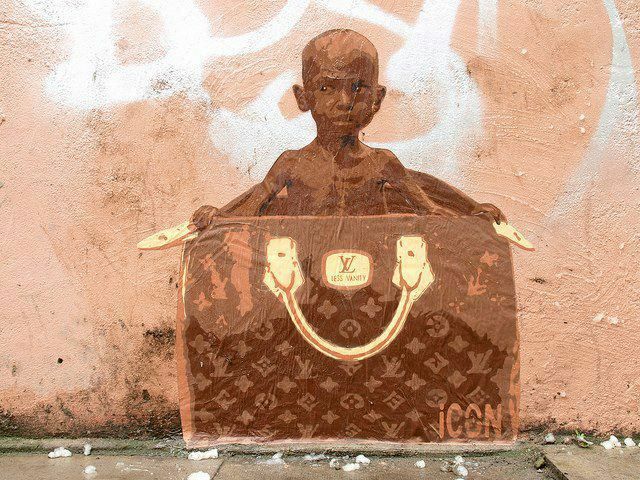 Street art is our generations cartoons that impact and declare- watch, learn and be challenged! 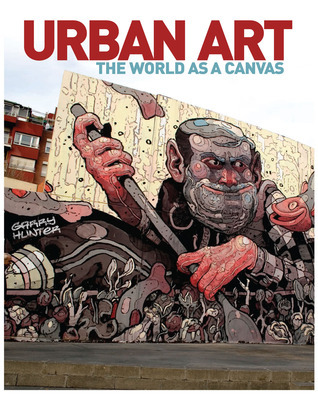 Urban Art is a fantastic, eye-catching, and fully illustrated book showcasing the work of the best pavement chalk artists worldwide. This colorful book focuses on the major world practitioners of 3D sidewalk art, including Edgar Mueller, Julian Beever, and Kurt Wenner. People are captivated by the illusions that pavement art creates, and this book showcases the very best of them ! Genre: Romance, mental health and being a team! 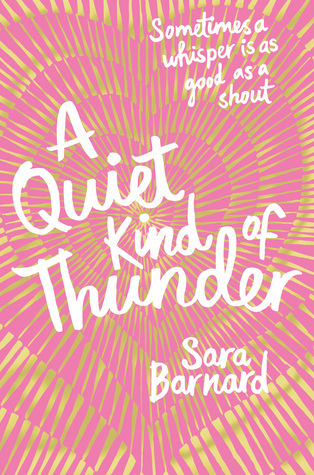 A brilliant depiction of social anxiety, a swoony subtle love story that creeps up on you, and meticulously researched, respectful and just beautifully written. Sixteen-year-old Maguire knows the universe is against her. No matter how many charms she buys off the internet or good luck rituals she performs each morning, horrible things happen when she's around. Like that time the roller coaster jumped off its tracks. Or the time her brother, father, and uncle were all killed in a car crash—and Maguire walked away with barely a scratch. Despite what her therapist tells her, Maguire thinks it’s best to hide out in her room, far away from anyone she might accidentally hurt. 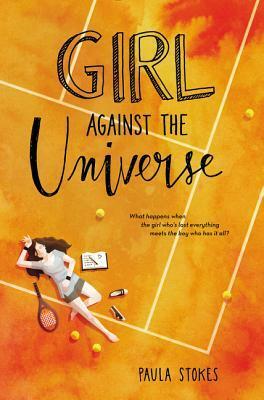 But then she meets Jordy, an aspiring tennis star who wants to help her break her unlucky streak. Maguire knows that the best thing she can do for him is to stay away, but it turns out staying away may be harder than she thought. Lost Fleet - large fleet battles, small marine actions; Phoenix Stars - small fleet battles, large army battles; Genesis Fleet - tiny fleet battles, small army battles. 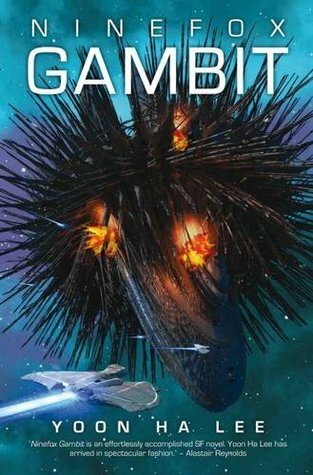 "Jack Campbell is one of my favorite military Sci-fi authors. 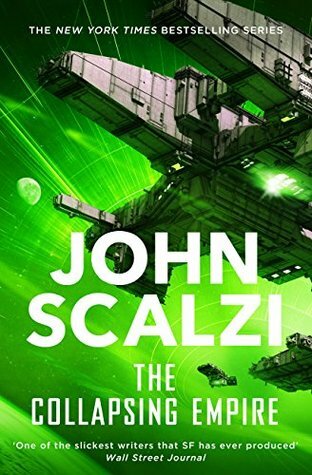 I am a big fan of his “Lost Fleet Series” and its various spine-off series. 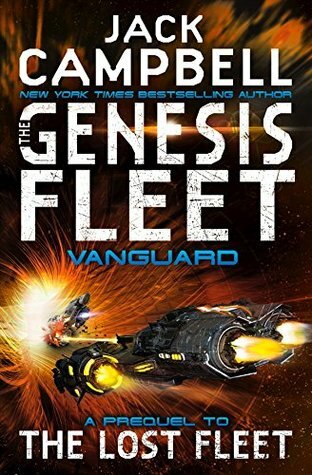 This new series, “Genesis Fleet” is set in the time before the “Lost Fleet”, in other words, it is a prequel to the “Lost Fleet Series”. War weary Earth refuses to be the policeman of the universe any more. Without a universal policeman to keep order, the pirates and two-bit plundering dictators are in full force. 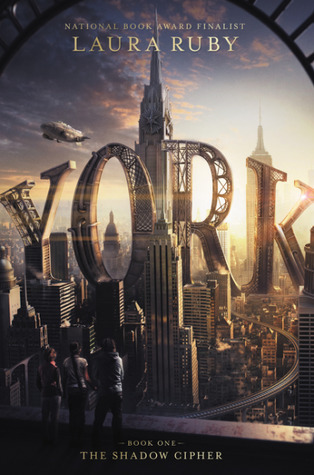 The four main characters to emerge are a failed politician, Lochan Nakamura, looking for a new start; an Earth bureaucrat, Carmen Ochoa, who grew up on anarchic Mars; a former Marine, Mele Darcy, looking for something to fight for and a former Naval Officer with the name of Robert Geary. This book will get lost for sure- but in the mean time- enjoy it and smile!! 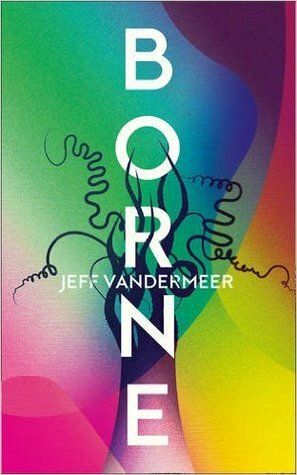 Michael Crichton meets Elon Musk in this gripping sci-fi tech thriller, set in the eye-opening, paranoid world of the electrifying Zeroes. "I don't remember much about Betty except that she was prehistoric -- like, she looked ninety-seven, but maybe she was only sixty." Ambrose Bukowski is a twelve-year-old with a talent for mismatching his clothes, for saying the wrong thing at the worst possible time, and for words. In short, he’s a self-described nerd. Making friends is especially hard because he and his overprotective mother, Irene, have had to move so often. And when bullies at his latest school almost kill him by deliberately slipping a peanut into his sandwich to set off his allergy, it's his mother who has the extreme reaction. From now on, Ambrose has to be home-schooled. Then Ambrose strikes up an unlikely friendship with the landlord's son, Cosmo, an ex-con who's been in prison. They have nothing in common except for Scrabble. 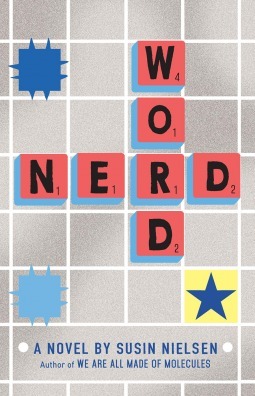 But a small deception grows out of control when Ambrose convinces a reluctant Cosmo to take him to a Scrabble club. Could this spell disaster for Ambrose. "When we walked into the school, the hallways were mercifully deserted. 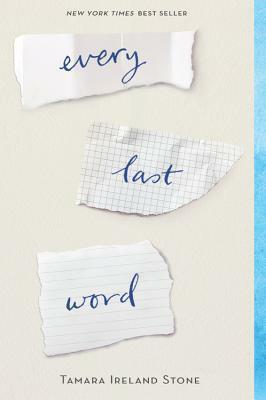 I breathed deeply and took in the smell of books and BO and other kid-smells, and as weird as it sounds, I felt a longing -- not to be picked on again, but to be part of something bigger than just me." "So at one point, I am on the airplane tears in my eyes (tears of joy) and laughing out loud. 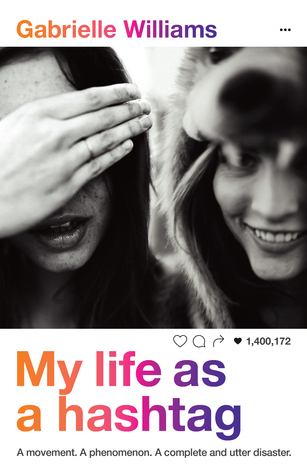 This book is beautiful and simple and perfect for every middle school student. Ambrose is a quirky, funny, and relateable 12 year old that I could not help but fall in love with. My son and his wife have been in Rome. They did the things people in Rome do, the fountain, the art, the Vatican, the Colesseum, the steps, and the dealing with the broken into car and having all your stuff nicked. Back in the days, those robbers if they got caught would off have to go to the Colesseum for a wee date with the lions. If anyone is in Rome and sees anyone dodgy wearing a rugby Chiefs shirt- let me know!!! So what was ancient Rome like, and how can you find out super quick without reading Asterix? Well this is your book. Smart, quick, easy to follow and full of delicious graphics and art. 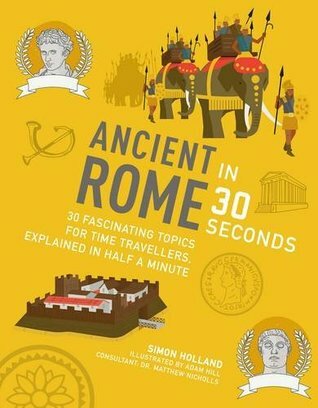 Best book ever for a quiz night and when you go to toga parties you might even be able to recite a few helpful facts about all things Ancient Rome.